Hopen Go’N Ticket is based on a scalable and modular architecture to suit multiple sales and distribution strategies. Travellers can buy their tickets from different channels: on board, on mobile phones, at retail outlets or in commercial agencies. The driver has a unique console to manage all ticketing and Fleet Management features. Ergonomic screens are designed to facilitate daily use. 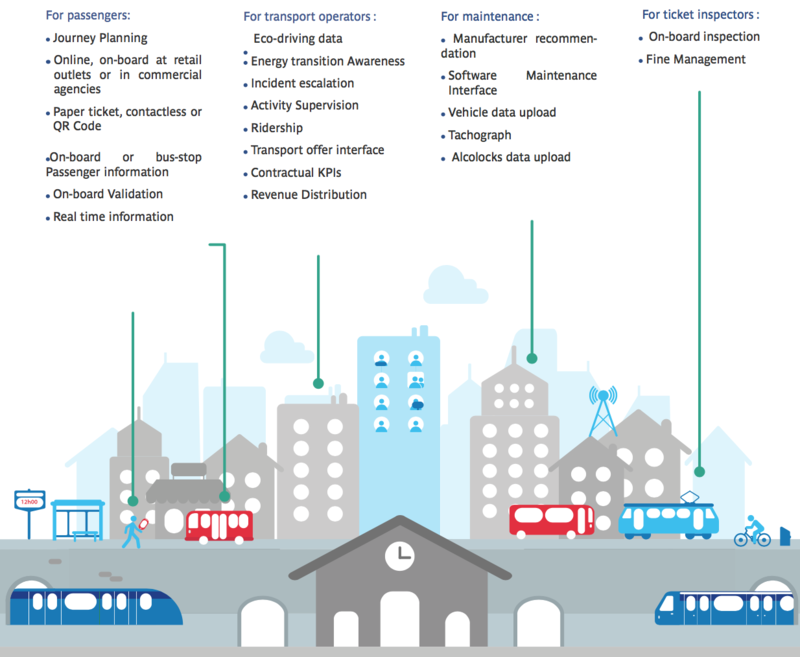 Based on a modular archi- tecture, the solution offers shared interfaces for common ticketing and Fleet Management modules (topology, customer management). Hopen Go’N Ticket is a hybrid Solu- tion combining the advantages of a card-centric system with those of the Account based ticketing. The latest technologies are natively integrated: paper Ticket, secured QR-Code, mobile application, post-payment. A powerful reporting and analysis module is integrated. It provides reliable indicators with cross-ana- lysis of the sales, validation, control and travel habits of customers. It is open to other third-party systems that go beyond traditional ticketing reporting.